Mason is now back in Scotland in the Montrose ward - here is the e-mail we got today. Hey Mom things are going good over here so far. 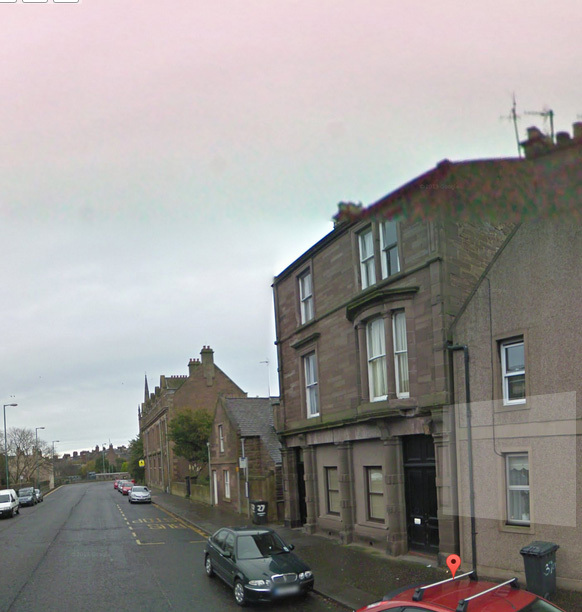 Montrose is a little like Ayr but much much much smaller. But coming over on the ferry was pretty much the same as last time. Getting up here was a bit of a hassle since we had to go to Edinburgh then catch a train, then get off of that train in Dundee cause there was a train derailed so we got a bus to the next train stop and got on a train to Montrose, but the flat is pretty close to the train station so it wasn't too bad. But we did drive through Ayr on the bus and me and Elder Cragie who also served there were just like "I still remember how to get around here." It felt weird to be back in Ayr. So anyway on Thursday we unpacked and did some shopping and just got settled in. We also met the bishop and his wife, they are really nice. Then we had dinner with the Glanville family who live just across the street from us. They are so funny and crazy like each of them are AT LEAST as crazy as Bryn. So it's going to be really fun having dinner with them every Thursday. Friday the senior couple up here gave us a tour of the area. They will be going home in a month so they are going to try and talk Pres. Donaldson into letting us keep the car which would be really nice. Pres. Donaldson is also really fond of the area cause this is were he was trained when he first was a missionary. Saturday not much happened but then we got a lift from the senior couple, the Hayballs, to the Dundee stake center for conference. They showed the Saturday morning session, then we stayed the night with the zone leaders. Then Sunday was all conference with the Priesthood session in the morning then the Saturday afternoon, then Sunday morning. My favorite talk was Pres. Uchtdorf's Priesthood session. Then the Hayballs took us back to the flat. So its been a bit of a crazy week. Love and miss you guys. I "borrowed" this picture from Elder Kinville's blog - this was while they were traveling to Edinburgh. I will miss his pictures since Mason hasn't been great about taking and/or uploading a lot of pictures lately. 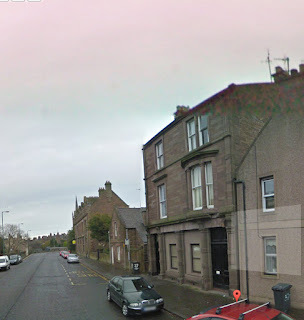 As usual I did a street view of his new flat address and here is a picture - it is the first black door (on the right).